You never fail to deliver with the posters, fM! This is yet another terrific one! 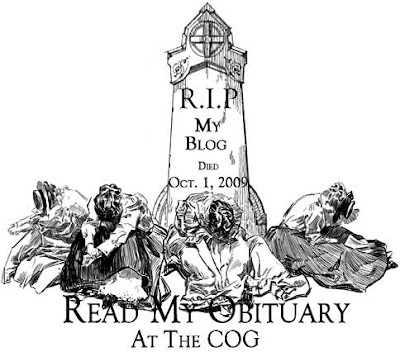 At lot of things seem to be dying on the genealogy blogs. This one was easy. The posters are my homage to what got me blogging in the first place. THE COG!